With Papa Dan having absorbed Gamedeus, the people previously thought to be cured are still infected with the virus. Papa Dan approaches Taiga and Nico with his new Chronus-Gamedeus form. Taiga henshins, but is no match for Papa Dan’s increased power. 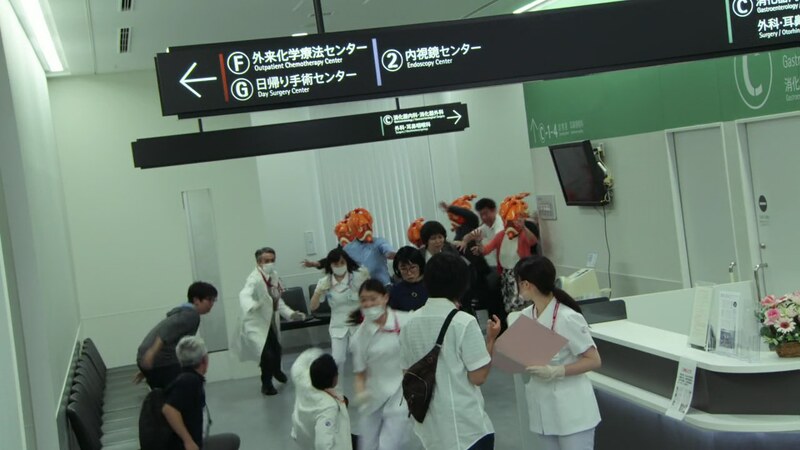 Emu and Hiiro arrive, but not even Emu trying to reprogram Papa Dan works. Papa Dan is able to force Hiiro and Taiga to dehenshin. But he doesn’t care about them right now since the only person who has the right to face the last boss is Nico who was able to collect all the Gashats. While Gamedeus-infected Kiriya is in the CR patient room, Kuroto reminds everyone of the rules of Chronicle. Parado realizes Papa Dan wants to defeat (kill) Nico in order to reset the game. Taiga asks Kuroto how to get into the game area, but only Nico has earned the right to henshin into Chronus to take on the last boss. 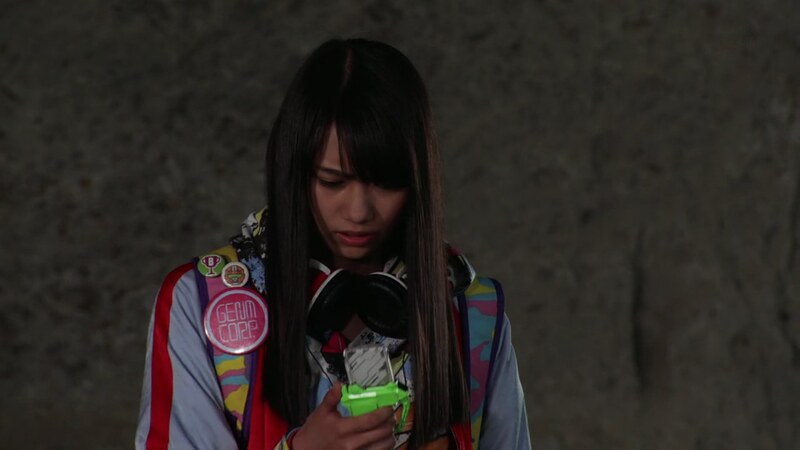 Taiga finds the confiscated Chronicle Gashats, takes one and enters the game area just as Nico prepares to henshin. The others wonder how Taiga is able to enter and Hiiro realizes he has been infected with the Bugster virus all this time. He’s been fighting on his own to spare the rest of them the suffering and burden. Taiga henshins to Chronus and the battle begins. Hiiro adds that Taiga will put his life on the line to protect what he cares about. Emu and Hiiro are eager to go help Taiga. Kuroto says he can figure out a way for them to do that, but he will need for them convince the Ministry to release him. Poppy approaches Parado in the hallway as he tries to think of a way to help and atone for his sins. Poppy says he can find a way to end Chronicle and save lives. Back in the game area, Papa Dan and Taiga both use a Critical Crews-Aid at each other. But Taiga is the one who is unable to endure it. He is forced to dehenshin. Taiga refuses to give up. He will not let Nico die. He reminds Nico that she is his patient and that he will protect her. Even if he doesn’t have a license, he still wants to be a doctor who saves lives. 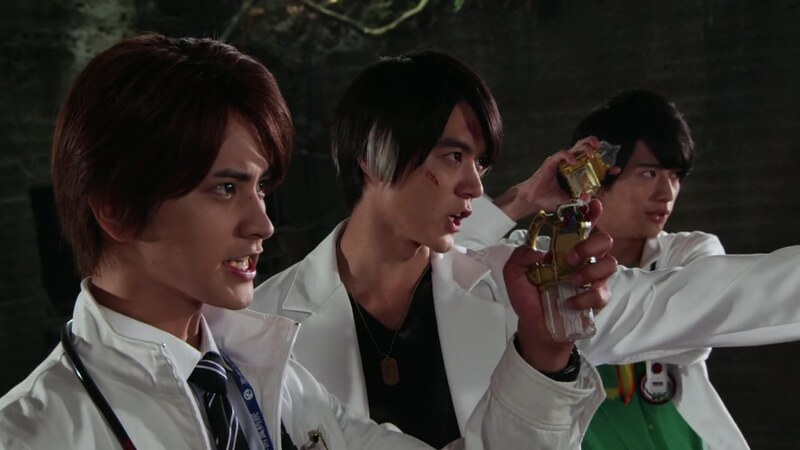 Emu and Hiiro arrive and tell Taiga to value his own life as well if he wants to save others. That’s their duty as doctors. Kiriya gets out of bed and tells Kuroto to shut up. 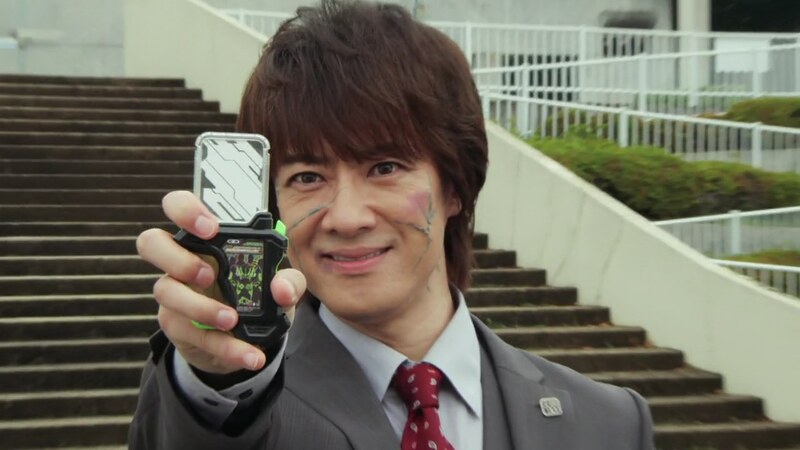 Emu gives Taiga a fresh new doctor’s coat and the three of them henshin. They overpower Papa Dan and are able to deliver Critical finishers at him. They return to the real world, but Papa Dan is not yet done. Papa Dan just laughs and says they have no idea how games work. Back at the CR, Kiriya suddenly collapses. Across the city, all the infected people gain Bugster heads and begin infecting everyone else. Papa Dan says this is the beginning of “the pandemic of fate.” Once they defeat the last boss’ first form, he evolves into an ultimate form. And so he does. Papa Dan evolves into a horrific, embiggened form and promises an eternal game without an ending. This was a pretty straightforward episode. I feel bad that I wasn’t more excited about it. I have no idea why though. The revelation that Taiga has been infected all this time was okay though I think it could’ve carried a little more weight than it did. Him almost dying was a more dramatic moment. And while I do think they laid enough groundwork for it, they only showed that one flashback in this ep of his conversation with Hiiro when he was in the hospital. I think they could’ve done a whole montage of scenes actually to better remind us of Taiga’s mentality throughout the season of wanting to take care of this on his own. Maybe a way to show that his guilt or whatever it was and him working to atone was also, at the same time, him taking on the burden by himself. It was a little underwhelming, but it’s okay. At least it’s a plot point that makes sense. It was nice to see the pandemic actually is the endgame. Though Papa Dan surviving another round of finishers is really getting old. lol Like, when will this madness end?! Overall, a fine, though underwhelming episode. I guess the main issue here is that, while that whole bit of Taiga enduring the game syndrome virus did have a lot of groundwork, his characterization was all all over the place for a large part of the series that we aren’t clear as to what his story was all about until the latter half of the show. I kinda wish that they had included some of the Snipe mini series scenes here to fill those in. On a different note. I have to laud Ex-aid for having better grasp of its humor than either Drive or Ghost. The humor here has been, for more part, non-obtrusive to the serious bits What more, those actually give the dramatic parts a lot of levity. The SpazzingKUroto scenes, for one, really emphasize that this is not the same murderous Kuroto anymore. 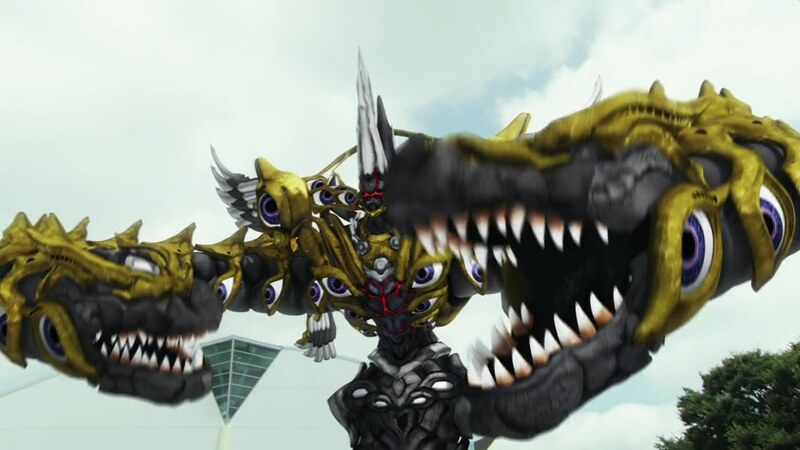 Same goes for his weird love-hate interaction with NotKiriya here.